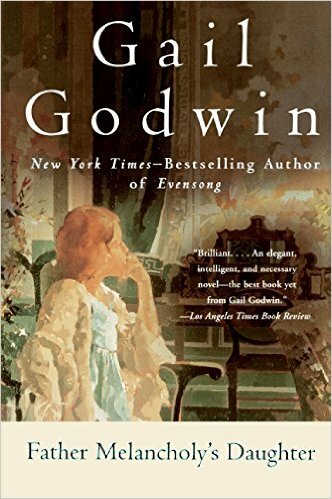 With Father Melancholy's Daughter, Gail Godwin reconfirms her status as a novelist without peer in exploring the tangled emotions and allegiances that are the fabric of American family life. At one point in the narrative, the novel's heroine, Margaret Gower, inquires of her best friend, Harriet MacGruder, "How can you finish with being a daughter when you don't know who your mother really was?" The question is, of course, asked by every daughter. 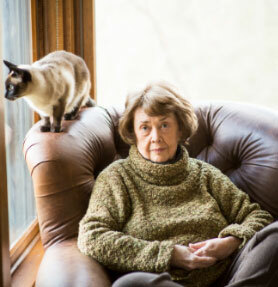 But in Margaret's case it has a special application; for when she was only six years old, she came home from school to find that her mother, Ruth, had simply walked out the door that morning in the company of Madelyn Farley, a teacher from her college days. Shortly thereafter, her mother is killed in an automobile accident; and Margaret must grow up seeking more than the knowledge every daughter wants of her mother. She, as well as the whole small town of Romulus, Virginia, must also speculate on the relationship between Ruth and Madelyn. Margaret's abandonment is made even more public by the fact that her father, Walter, the Rector of St. Cuthbert's, is a clergyman whose private world necessarily lies open to the scrutiny of his congregation. Walter Gower is a deeply religious man, subject to bouts of severe depression. As Margaret becomes a teenager and then a young woman, she, perhaps too willingly, acquiesces to being his friend, nurse, student and accomplice. By the time she goes off to college and awakens to the demands of her own sexuality, putting his needs before her own has become second nature. But Father Melancholy's Daughter is something more than a young woman's search for herself. Beneath its plot lie questions both subtle and profound. Do we lay traps for ourselves in expecting too much of our parents, deluding ourselves into self-pity or a repetition of our parents' mistakes? Are those we dislike and fear merely parts of ourselves we wish to deny? Is despair a covert and twisted form of self-love? How does each of us -- how does Margaret -- learn to live a decent, passionate and honorable life? One of the answers lies in the words of Margaret's father to a fellow priest: "The Resurrection as it applies to each of us means coming up through what you were born into, then understanding objectively the people your parents were and how they influenced you. Then finding out who you yourself are, in terms of how you carry forward what they put in you, and how your circumstances have shaped you. And then . . . And then . . . Now here's the hard part! You have to go on to find out what you are in the human drama, or body of God. The what beyond the who, so to speak." That Margaret succeeds in carrying out her father's injunction is both her -- and Gail Godwin's triumph. "Ambitious, wise...unforgettable...an engrossingly good read...a novel that explores timeless concerns of faith, love, and morality." "Skillful and memorable...full of surprises...without question, her best to date...a tale so spellbinding the reader hates to put it down...Thought-provoking while it entertains, it lifts the reader's spirits, leaving him or her better for having read it." 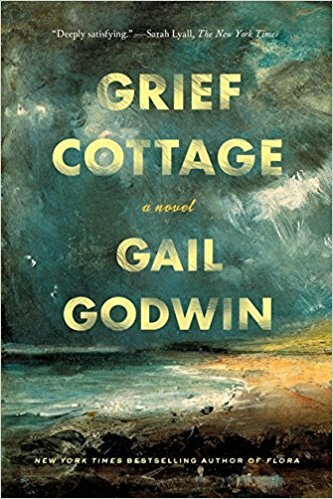 "Brilliant...an elegant, intelligent, and necessary novel--the best book yet from Gail Godwin." "Remarkable...I don't know more than a few contemporary novels as full of grace as Gail Godwin's "Father Melancholy's Daughter."